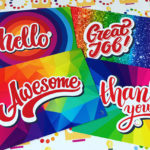 "A business with no sign, is a sign of no business"
Essential Print Services (EPS) understands the importance of heightening it’s profile in order to secure customer confidence. And one way to do this, is to create alliances with local organisations. 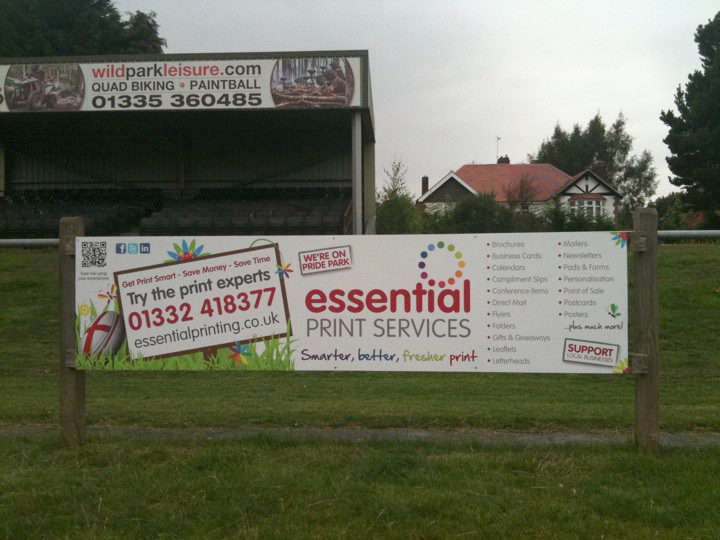 Essential Print Services has recently printed a number of leaflets for Derby Rugby Club, so when the sponsorship opportunity arose, it seemed appropriate to return the favour and EPS agreed to sponsor a pitch-side board. “I’m absolutely thrilled with the position of the board; right in front of the supporters’ stand. I’ve included a Quick Response Code in the corner of the sign (QRC) so spectators and passers-by can use their smart phones to quickly and easily scan my company details,” commented Yvonne Gorman, Owner of Essential Print Services (Derby) Ltd.
“The sponsorship opportunities at the Rugby Club are very good value for money and it’s brilliant to know that those who do decide to advertise, will not only be heightening their own company profile, but will be helping to support the local facilities and future talent too,” added Yvonne. Anyone who would like to discuss potential sponsorship opportunities at Derby Rugby Club should get in touch with Yvonne on 01332 418377, who will gladly introduce you to the Derby Rugby Club’s Marketing Director.